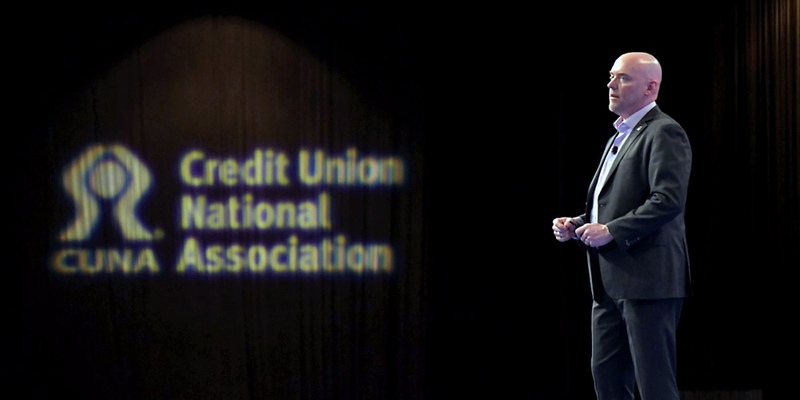 CUNA Chief Advocacy Officer Ryan Donovan onstage at CUNA GAC 2019.
Credit unions must be proactive to not only react to banker rhetoric but to bust myths about credit unions and their tax status, CUNA Chief Advocacy Officer Ryan Donovan wrotein Credit Union Journal Monday. Donovan’s op-ed says that credit unions should not let banks undermine the future of credit unions. Donovan highlighted the different kinds of bank attacks, always with the same goal: weaken the impact credit unions have on their members and communities by financially burdening them with additional taxes.